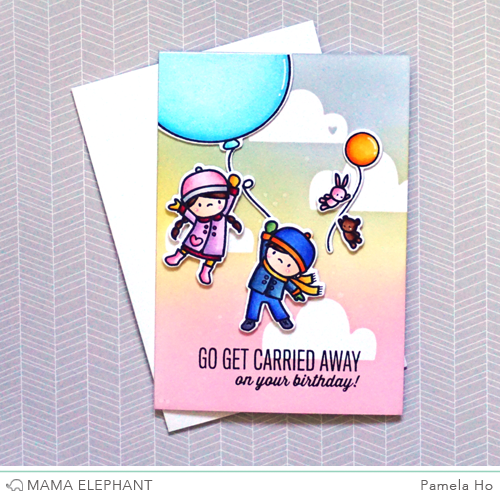 Today we are highlighting Carried Away. The Design Team will surely whisk you away with their creative projects! We love Vera's shaker card using negative space from Rainbows High die cut! We love how Deasy made this fun card and used the balloon as a shaker. 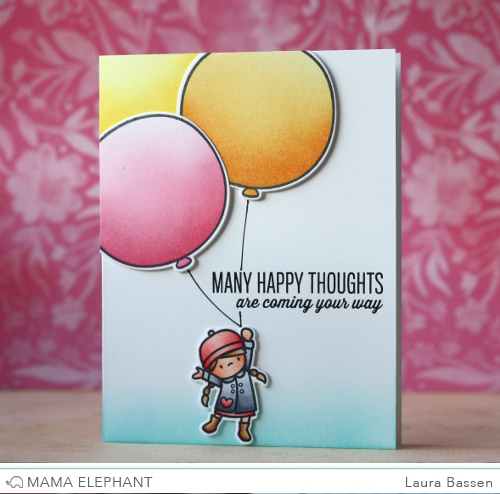 Laura used the Mama Elephant pigment inks to blend in color on the balloons. What a fun and colorful background! We love those masked clouds in the background and how Pamela brought in a little balloon for the little guys! These are such beautiful cards!!!! I love all of them! Love all these projects. I cannot wait for my stamp set to arrive!! I love them all! The colors are so pretty and the balloon as a shaker is so cool! I too like this stamp set. I can just see all the creative juices flowing with all these beautiful cards. OK, I TOTALLY want this set! LOL These are such cute cards and I can think of SO many things I could use those big balloons for! LOVE IT! Love this set sooo much!! Awesome cards! !